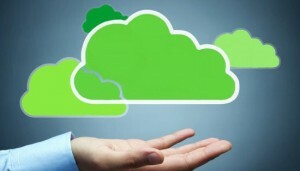 Reykjavik, Iceland— GreenQloud, the world’s first Truly Green™ cloud solutions company today announced the release of QStack, a hybrid cloud software stack that enables enterprises and organizations to build private clouds as well as scale and migrate workloads to GreenQloud’s clean, renewable energy-powered public cloud. GreenQloud is a cloud solutions company offering Truly Green™ cloud computing virtual servers and data storage (IaaS) powered by renewable energy. GreenQloud services, such as ComputeQloud™ and StorageQloud™ feature an easy-to-use, self-service web console and advanced AWS-compatible API controls for full automation of IT services. With the addition of QStack, the company now offers cloud solutions for the full market, accelerating the market adoption of cleaner cloud technology, by addressing the needs and concerns of companies who have not yet adopted public cloud computing due to regulatory compliance and investment commitments. GreenQloud was founded in 2010 and is privately funded. The company has been lauded by the industry and media for its sustainability efforts. GreenQloud has won several Icelandic government grants, such as the technology grant from Rannis (The Icelandic Centre for Research). Advania and Verne Global serve as primary data center locations for GreenQloud in Iceland. Digital Fortress™ is the primary data center location for GreenQloud in the US. For more information visit http://greenqloud.com. GreenQloud is onsite at Cloud Expo Europe (London Excel) February 26 & 27, 2014 at booth #614.